The office of U.S. 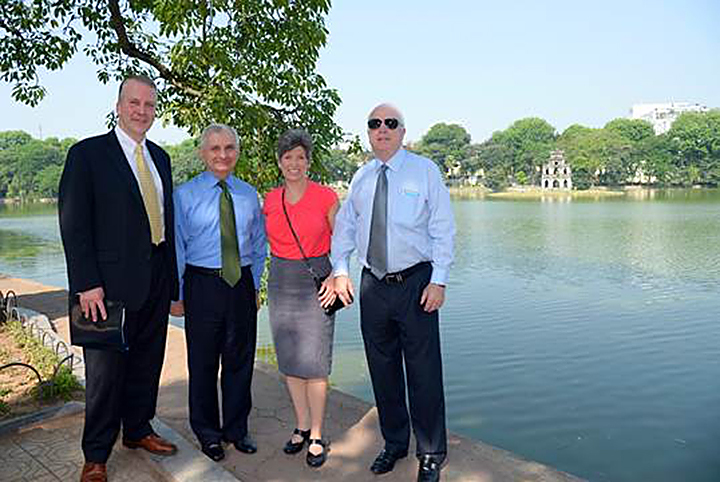 Senator Joni Ernst (R-IA) released photos Thursday from the Senate delegation visit to Vietnam and Singapore. The Senate delegation visited Hoan Kiem Lake and Hoa Lo Prison, where Senator John McCain (R-AZ) was held as a prisoner of war. The visit to Vietnam also marks the 20th anniversary of the normalization of relations with the United States and the 40th anniversary of the end of the Vietnam War. Later this week in Singapore, the Senators will participate in the Shangri-La Dialogue, an annual meeting of Asia-Pacific defense ministers and policy makers, including U.S. Secretary of Defense Ashton Carter. More details on the Shangri-La Dialogue is available here.